Overwhelmed by the number of vulnerabilities your team faces? Uncertain which cyber threats pose the greatest risk to your business? You’re not alone. Cybersecurity leaders have been grappling with these challenges for years – and the problem keeps getting worse. On average, enterprises find 870 vulnerabilities per day across 960 IT assets. There just isn’t enough time or resources to fix them all. More than ever, it’s essential to know where to prioritize based on risk. 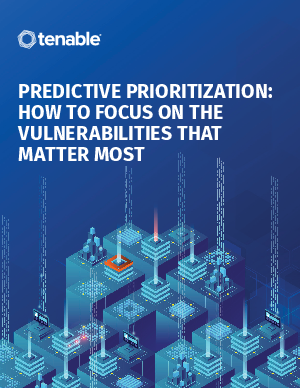 Ensure you’re prioritizing the right vulnerabilities for your team – while reducing everyone’s workload. Get the new whitepaper now.